Tantalum complexes could aid in combatting tumour diseases. RCPTM scientists developed complexes of this transition metal that show a significant anticancer activity and reduced toxicity against healthy cells. This invention has just been protected by patent. Tantalum has been known up to now as a material used in medicine for producing implants, surgical instruments, etc. It has also found its application in electrotechnical industry as a component for capacitors. 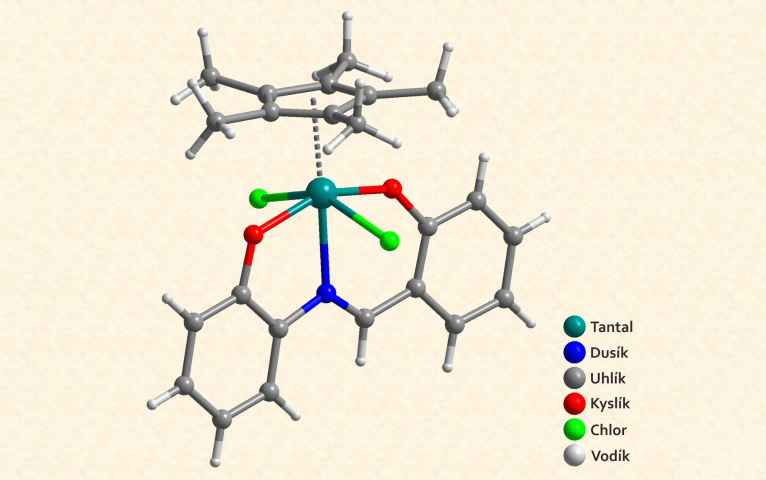 Researchers from the RCPTM group Biologically Active Complexes and Molecular Magnets led by Prof. Trávníček deployed tantalum for developing organometallic complexes that show anticancer activity in relation to four different types of tumours. “The results of the study on cellular models encouraged the researchers to carry out toxicity tests on laboratory animals. They confirmed strong cytotoxicity in cancer cells but low cytotoxicity in healthy cells, which represents great potential for practical applications,” explained the head of the group Prof. Trávníček. Anticancer activity of the complexes has been proved in relation to bone cancer (osteosarcoma), colorectal cancer, ovarian cancer, and cisplatin resistant ovarian cancer, this being a commonly used chemotherapy drug. However, it is important to emphasize that the journey to therapeutic applications will still be long despite the very positive initial research results. Such developed complexes must undergo a complex procedure of pre-clinical and clinical tests,” added a co-author of the study Prof. Zdeněk Dvořák. It is the first time the scientists in Olomouc have selected tantalum for preparing organometallic complexes with anticancer activity. Previously, they focused on platinum- or gold-based complexes. Another two platinum-group metals—osmium and iridium—have recently been of interest to researchers worldwide, achieving promising results. 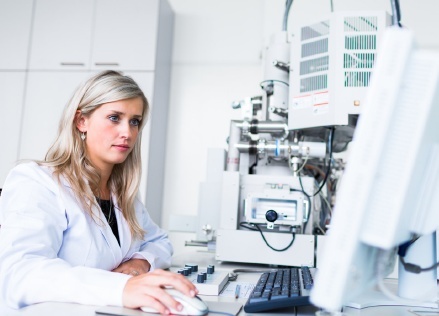 “We made an assumption that tantalum complexes could work on a similar basis. We proved it right. Nothing ventured, nothing gained,” said Prof. Trávníček. The novel complexes are protected by patent named Dichloro-complexes of tantalum, method of their preparation and their use in preparation of drugs for cancer treatment (CZ 307 696 B6). “The national patent office evaluated not only the originality of the invention but also its potential therapeutic applications. The patent that has just been granted is based on a pilot study carried out by the same research team, and published in the prestigious journal Chemical Communication,” explained a co-author Pavel Štarha. 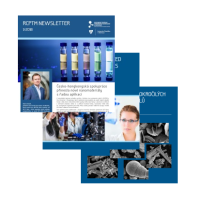 Now the research continues also in collaboration with our partner institutions such as Institute of Clinical Science, University of Birmingham; Faculty of Pharmacy, University of Veterinary and Pharmaceutical Sciences Brno. Thanks to the research results of Trávníček’s team, Palacký University Olomouc has managed to obtain 15 Czech patents and two European ones over the past ten years. These patents secure legal protection for a potential application of biologically active complexes to chemotherapy drugs or inflammatory diseases.